Two pens shown in this listing. 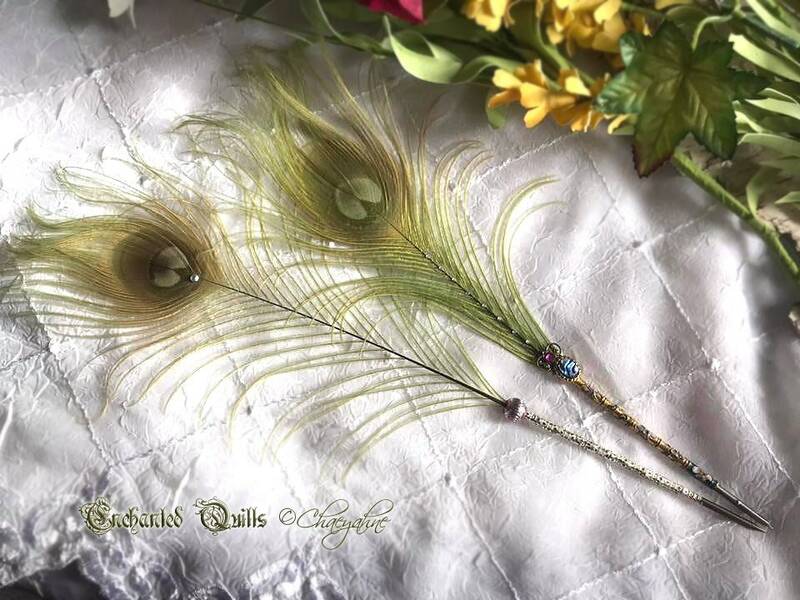 The one in gold is 11 inches long, the one in silver is 13 inches long, and both designs are FIXED NIB CROWQUILL feather pens. Crowquill nibs are smaller, delicate fine line writers & perfect for children or a ladies hand. 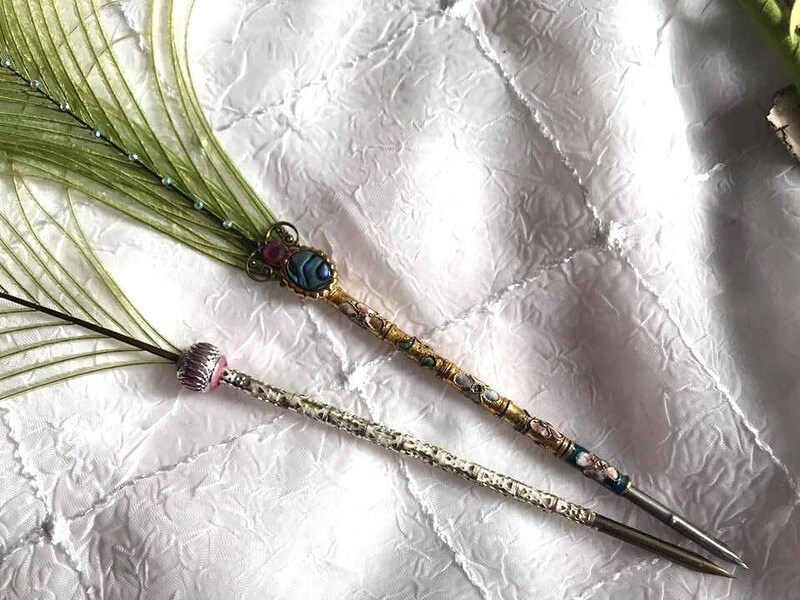 The main feather is a dyed chartreuse olivine green peacock eye feather, with a bali bead base on the one pens shaft comprising of GORGEOUS gilt gold & silver barrels, and on the other gilt gold Cloisonne barrels with a tiny filigree base accent. 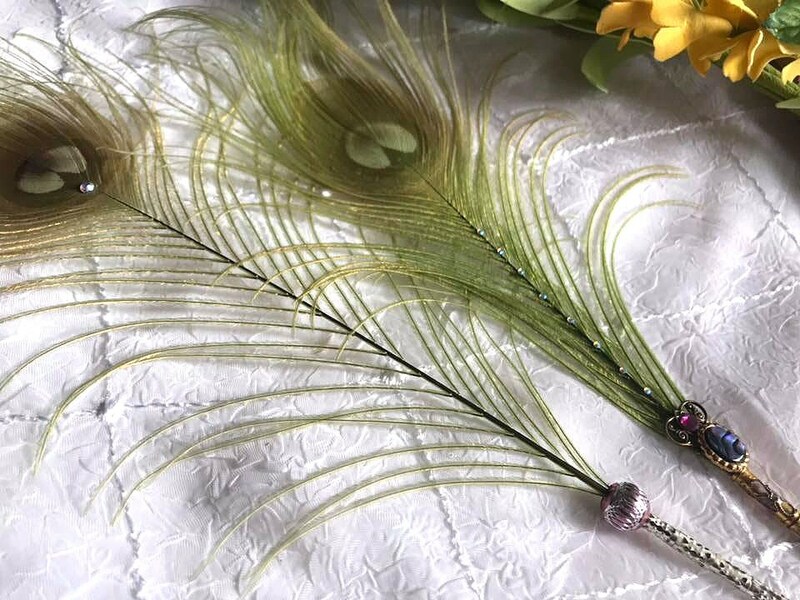 The quill is accented by a single aurora borealis crystal at the base of the eye. This pen comes tissue wrapped, and this is an exclusive CSD design, and is of course one-of-a-kind coming complete with my CSD studio certificate of authenticity.